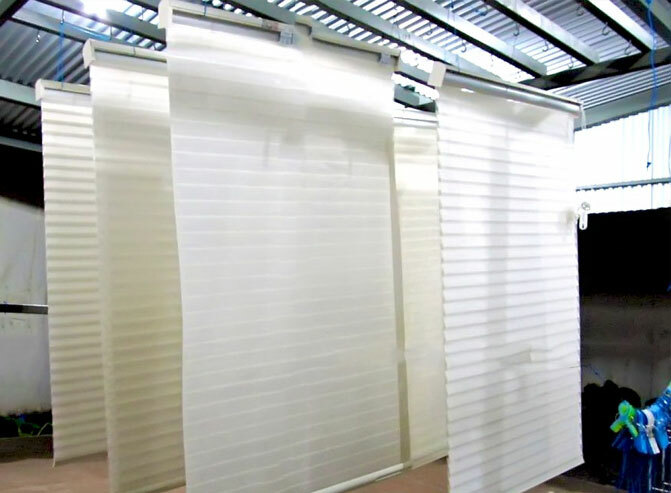 Squeaky Curtain Cleaning Bayswater offers professional onsite curtain steam cleaning, Curtain Dry Cleaning, Blinds Cleaning, offsite Curtain Dry Cleaning Services in Bayswater. We use Eco-Friendly Chemicals for curtain steam cleaning. Cheap prices & expert in washing all kinds of curtains & blinds !!! Our curtain cleaners in Bayswater are expert in all kinds of drapery steam cleaning, onsite curtain steam cleaning, off-site curtain dry cleaning and blinds cleaning services. We at Squeaky Green Clean leave no stone unturned to satisfy our clients and offer a complete solution for curtain cleaning. Our specialised services also include linen drapes dry cleaning. Our curtain cleaning Bayswater professionals clean your curtains thoroughly and make them look new again. We can perform the drapes dry cleaning for onsite as well as off-site. Call us today and get the free quotes for curtain cleaning. When it comes to the elegant venetian blind, the Squeaky Green Clean is the best option to have your venetian blind cleaned. We have a team of expert technician who does the job proficiently. With their experience and our innovation we have made the best possible method for venetian blind cleaning Bayswater. We only use the industry approved cleaning agents, also our cleaning agents doesn’t have any side effects. To book the cleaning services for your venetian blinds call us on our numbers. Roller blinds are the most convenient type of curtains, it covers the window properly and provide complete privacy. However, the roller blinds get dirty overtime because the dust and moisture build up. We at Squeaky Green Clean are capable of dealing with dirty and muddy curtains, even while the curtain fabric is cleaned, the roller mechanism must also be cleaned and repaired. Our technician know everything about the roller blind, we include everything in our service. To book our service give us a call, we are always ready to serve you with our service. Squeaky Green Curtain Cleaning Bayswater is a professional, highly experienced and trustworthy cleaning company whose services are available all around Bayswater. All our technicians have undergone a thorough background check and have been properly trained and evaluated. Our experts use professional cleaning tools, and solutions. What is the need for curtain steam cleaning? Curtains tend to absorb smells from all around the house, including cooking aromas and cigarette smoke. Curtains can also get stained and these may be very noticeable. Any attempt to ordinarily clean these stains can lead to discoloring and make them look old. However, it is important to get curtains cleaned regularly to keep them looking fresh and new. Dirty curtains are a major carrier of diseases and can cause health issues to family members. Due to the bulky size of curtains, it is difficult to clean them at home yourself. So, a professional to help you out at this job is what you need. On-site cleaning – In most cases, curtain cleaning can be performed, and any kind of stains can be removed while the curtains are still hanging. We use high-powered machines for extraction and specialized dry curtain cleansing solutions to remove the majority of the dirt, soil, and allergens. Our technicians are professionally trained, licensed and certified to provide these services. Offsite cleaning – You may like to have your curtains cleaned outside the home. This usually happens if your house is decorated well and you don’t want to take any risk of any stuff at home getting damaged or you have kids or pets and you don’t want the routine at home to get disturbed. So, our expert technician can come to take down your curtains and bring them to our local cleaning centre. Your curtains will be cleaned, washed and dry cleaned there and hung back at your place. This whole process can be done in one day to ensure that you don’t have many inconveniences and your daily routine doesn’t get disturbed. Our hourly based cleaning services – We offer you an hourly based cleaning service too. You can get a single unit cleaned or thorough cleaning of a complete room or area. So, we charge you accordingly. We will happily come and clean even if the task is very small. Drapes and blind cleaning – We provide cleaning services for all kinds of drapes and blinds. Our experts know how to assemble and disassemble all kind of blinds. The blind or drape can be of any material, we specialize in cleaning it. 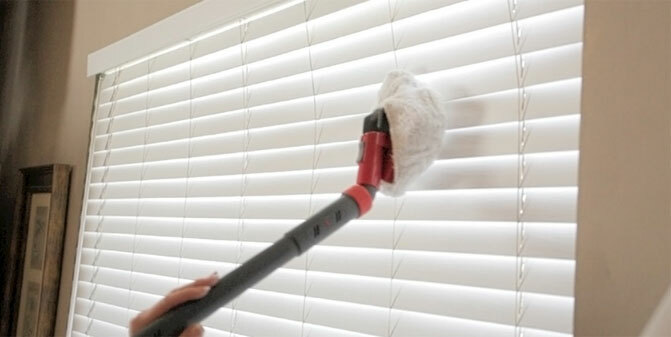 We keep in mind the products we use for cleaning so that no harm is done to the blinds. For all Bayswater residents, who are in need of professional expertise for cleaning your curtain, upholstery or premises, book our services now. You will be notified with a mail or text message on your booking confirmation. If you need cleaning services urgently, we can assist you with same day services as well. So, call at 0407 727 117 to book with us now. Stained curtains? Not an issue, what we are there for? Our team of curtain cleaning Bayswater is highly experienced and know the best ways to remove tough stains, which you can’t do with DIYs. We use high-quality and eco-friendly cleaning solutions to make your carpets stain, dirt and contaminant free. Call or mail us today and get the best services for curtain cleaning in Bayswater. For more information visit Curtain cleaning deals page.